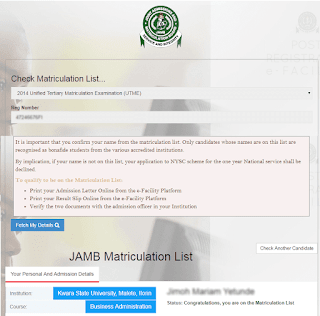 What is jamb regularization about? 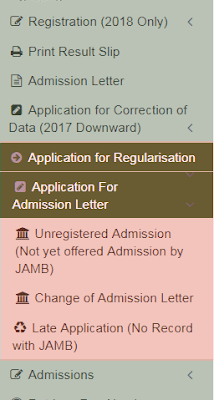 The purpose of regularization is to ensure that JAMB has your current admission detail that tally with the school that offered you admission. Fresh Application - Those with JAMB Reg. Nos. Candidates who gain admission with jamb registration number but does not have Jamb admission letter. Candidates who gain admission with jamb registration number, but the Admission letter carry a different course or institution name from the school that gave them admission. 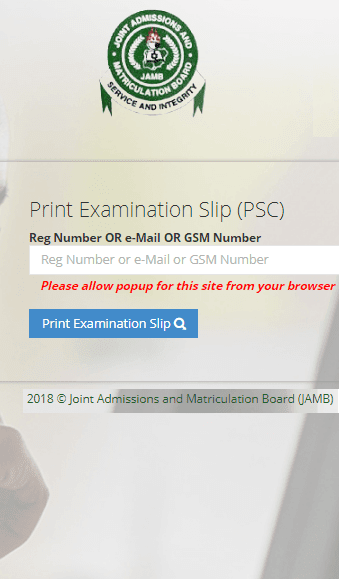 Can I use my phone to do the jamb regularization online? Answer: To the best of my knowledge, it is not too okay to process form online using phone. 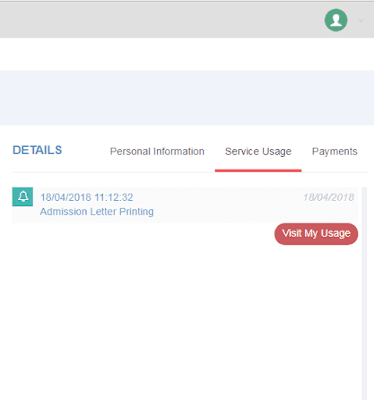 If you have access to desktop with internet facility, it gives you a better view of the form. Note: As any mistake you make cannot be corrected, as the stages involve in the registration exercise does not give room for one to preview what he/she had filled before final submission. Once you click on submit, that is the final submission. Can I come and meet you and get it done that same day and how long does the processing take. Answer. Yes, the processing of the form takes a maximum of 30min from start to finished, provided all the needed information are correct and available. What is the official amount of this new jamb regularization fee? How much fee do you charge for the online processing. Answer: I charge N1500 for the online processing and printing out of the indemnity form. What is their mode of payment or how is the payment made? Answer: Payment is done online through the use of ATM Card. Is thumb print needed during the jamb regularization exercise? Answer. No. thumb print is not needed. Can registration be done in the absence of someone/by proxy. Answer: Yes currently, as long as the said person gives you his/her right information and passport. Mind you, the information you supplied is what you will see on the final print out document. 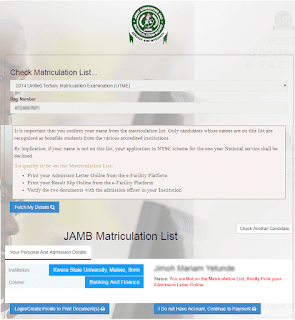 During the jamb regularization registration, I made a mistake can it be corrected? What are the jamb regularization details or information needed to register one successful? 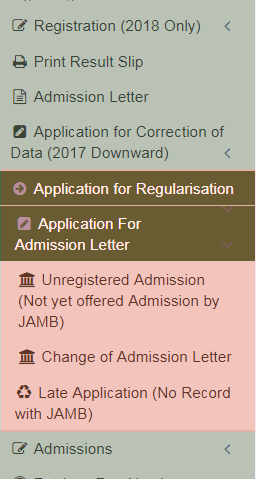 Is there any Jamb regularization software or plugin used for the processing of the form? Answer: Yes. below are the procedure i follow. When I try to create my regularization profile account online, i got this message show below. "you cannot create account at this time". Please any solution to it? Creation of account or profile has be disable online. henceforth only CBT Centre can be able to create profile for regularization. 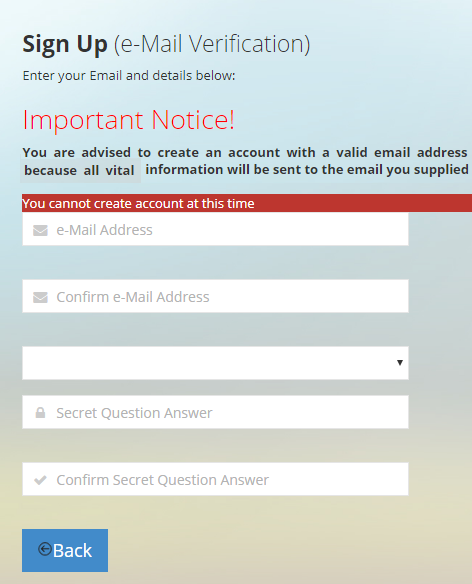 After the creation of the profile can I be able to login and continue the filling and submission of the form at my end. a. Fresh Application - Those with JAMB Reg. Nos. Unregistered Admission Candidates who gain admission with jamb registration number but does not have Jamb admission letter. or in other words, you have a previous jamb registration number, but when check online, you have no jamb admission letter on it. Candidate who gain admission without Jamb registration number or his/her mode of admission does not required jamb registration number. Example Pre-degree. in order words, you dont have any previous jamb registration number, even if you have previous jamb registration number, but still you do not have access to it. 8. Enter your payment detail, Select your Preferred Payment mode, and submit to complete your payment. What are the documents to print out, after completion of the online form? Answer: The name of the only document to be printed out is refer to as indemnity form. It contains all the information you have supplied during the filling of the form online. 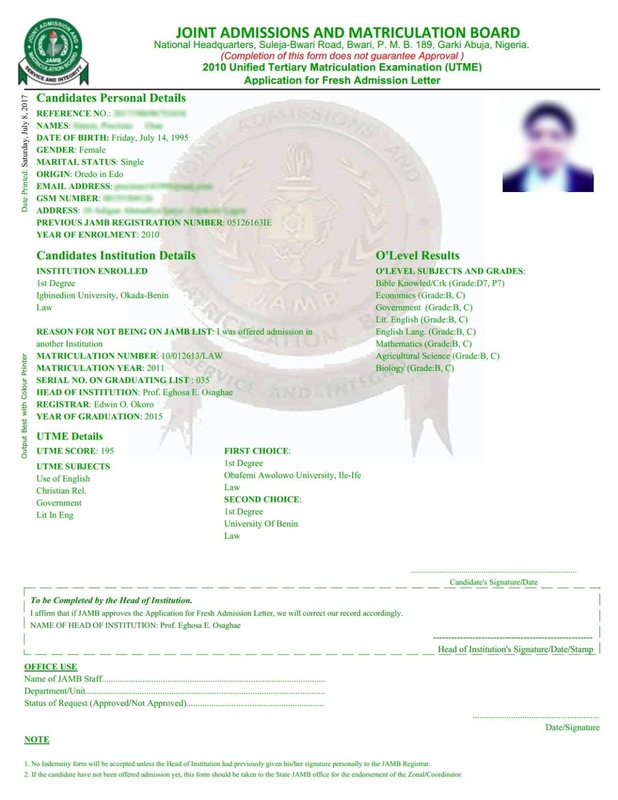 Note: The document should be printed out in colour, showing the background of jamb logo. After completion of the jamb regularization process online, will I get the jamb registration number immediately? Answer: No. it takes two to three weeks for jamb to approve your application, only then can the registration number be sent to you. Answer: first the indemnity form has to be printed out in colour and submitted to your institution for signing and stamping by your head of institution. Lastly, you institution will have to forward the document to jamb for official processing. Note. No indemnity form will be accepted unless the head of institution had previous given his/her signature personally to jamb registrar. How will the jamb regularized registration number be sent to me if all due process are followed? Answer: They will send it to either your email address or phone number you supplied during the registration process. Which other services do you render? Answer: Retrieve of jamb registration number, nysc online processing, jamb reg number regularization, and admission letter printing. Are you for real, if yes, how can i meet you in person for the online processing? Yes i am for real, to check if my office exists, you can come yourself, better or alternatively send someone who live in Delta State to do that for you. i study International Relations in my school, but in my adimission letter, jamb gave me Political Science, how can it be resolved? 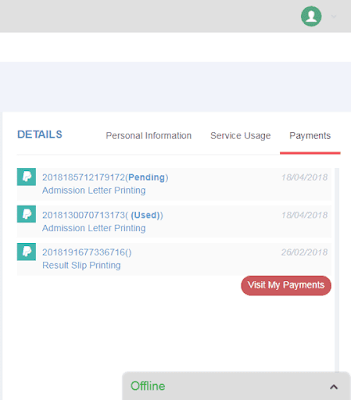 I am a final year student in a State University, I checked jamb site to print my admission letter and saw that it was a Polytechnic that appear in my admission letter for a two years program, Should i do Change of Institution or Regularization? To Solve these problem, you have to apply using the option Application for Regularisation >> Applicaiton for Regularization select >> Change of Admission Letter. You used this option because you already have record with Jamb. I did my ND in Federal Polytechnic bida, and my HND in Nigeria Institute of Journalism Lagos, I did Regularization with Federal POlytechnic bida, and that is the School that has my jamb detail. Do I need to do another regularization with Nigerian Institute of Journalism for Mobilization or i can still use my OND Jamb Registration Number, which is still Valid and has my details on it. For Polytechnic student, if you are doing regularization, you used the details of the school that gave you admission for OND. I went to a cbt centre today, as the guy in question was filling the regularization form, he saw somewhere where they asked for my Serial Number on Graduation List,, he asked me for it, but I dont have repsonse to it, because I dont understand it, please help. 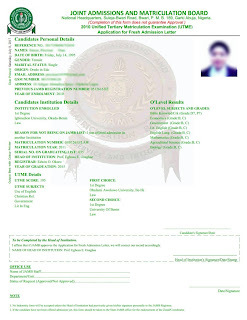 Serial Number on graduating list, this number is mostly made avaliable to student that has pass out of the school system during event of graduation ceremony, the problem is, most school hold graduation in batches, like every four years, that is when graduation ceremony is been conducted. 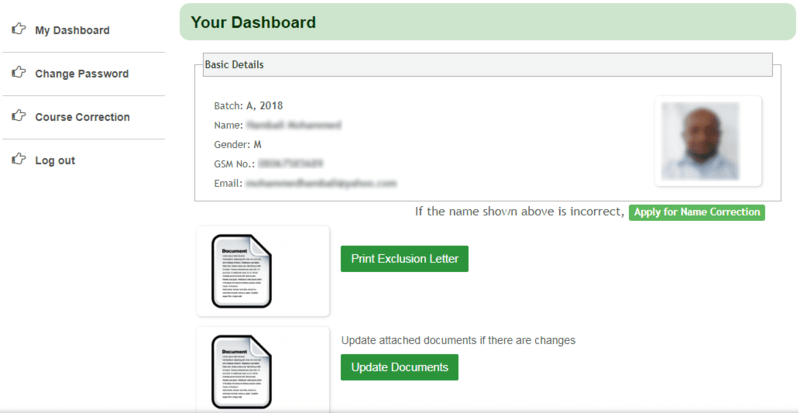 If you come across it during the filling of the form, leave it blank. Please I want to know the next step to take when someone regularization is not approved? Contact the nearest jamb office closer to you to know the reason why. I did part time during my OND, I am going for my HND next month full time, but i was told i might not be able to go for NYSC except i do jamb regularization, is it true. I want to know what to do if i get this message, You are not on the matriculation list, kindly reprint your result slip online. do i need regularization. to be able to access paid and free services render by jamb online after logging. 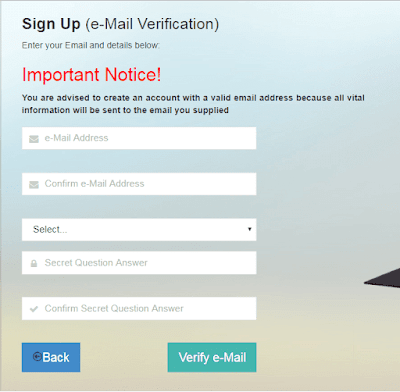 What is Jamb Profile Email Verification. profile. a message containing a profile code is sent to the email address, which is required to complete the creation of the profile. Why do someone need to confirm or verify the email address? - JAMB shall be communicating with you via the email. Important information and notifications shall be passed to you via the email. What are the Details Needed to Create a Jamb Profile. 4. Login into your email for confirmation, take note it could be in your spam folder if not seen on your inbox. 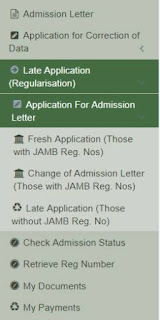 change of jamb admission letter. admission acceptance and rejection. Yes it can be created using a mobile phone devices, but this function as be disable or suspended, applicant can no longer used either their phone or a desktop to create their personal profile, they have to visit cbt centre to be able to do so. Can Jamb Candidate Profile be Edited After Creation. Yes, you can create a fresh new profile, if you found out that you have lose access to your previous account. To create a new profile, you need a new valid email address and phone number, note you are starting afresh, meaning any transaction with the previous profile can not be transfer into this new one you plan create. There is no fixed date, it is a continuous process. 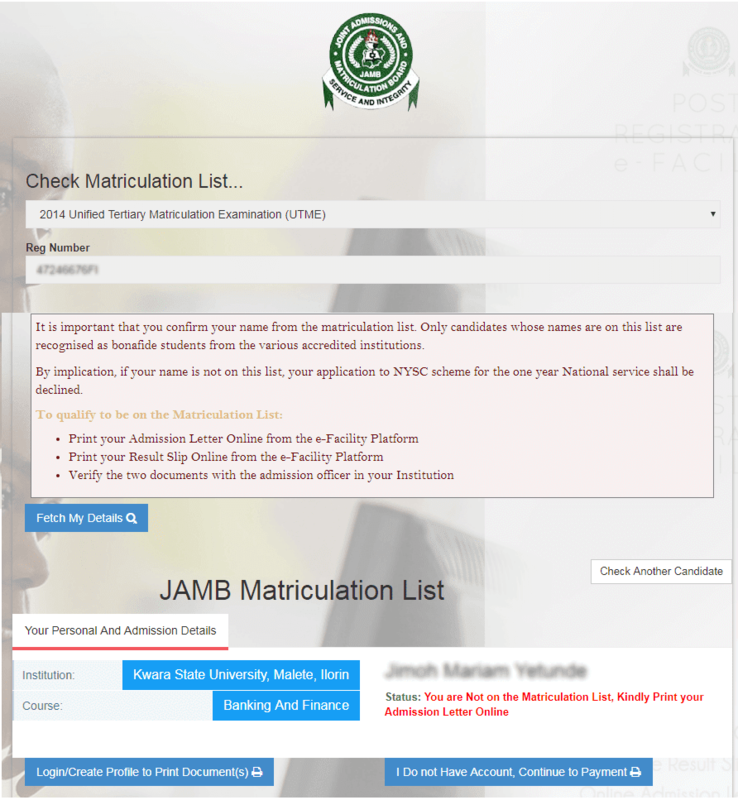 visit the jamb profile website, enter the detail asked for. please note this online service has be suspended for the time been. Jamb Profile App apk Download. 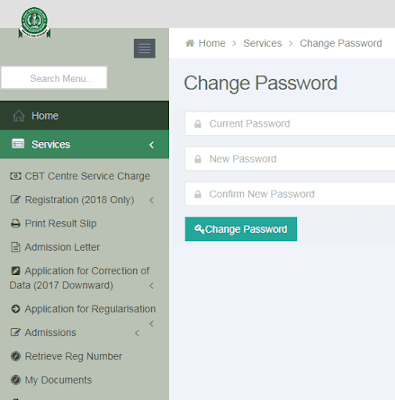 This Services has be discontinue in 2017, it was used to create jamb candidate profile using android mobile devices. Visiting the nearest cbt centre, or you can can reach me on mobile/whatsapp 08051311885 to enable me speed track the creation of our profile. 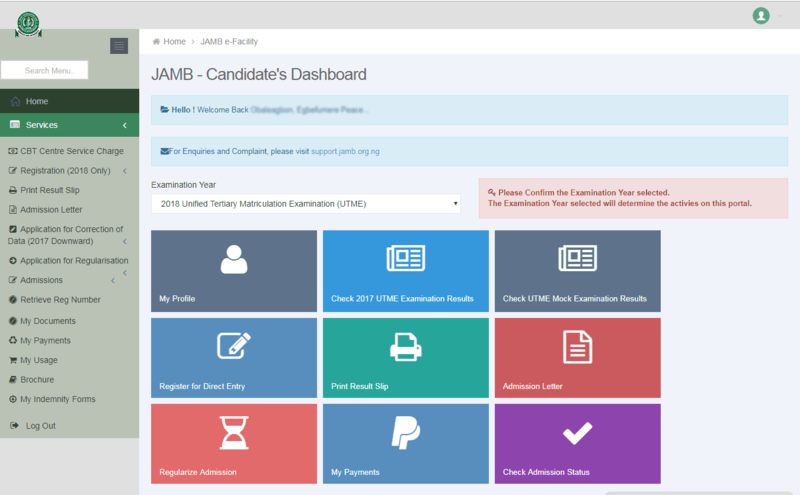 The jamb profile setting contain some essential information, such as the candidate personal information, service usage, and payment status. 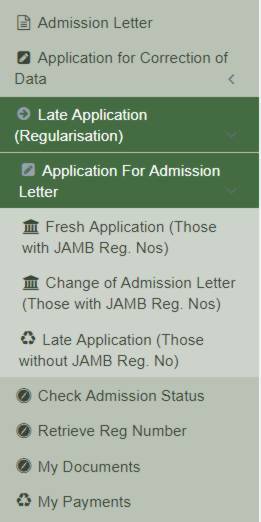 To Access your profile setting, log into your jamb profile, click on my profile. Service Usage. what service the profile has be used to engage with. 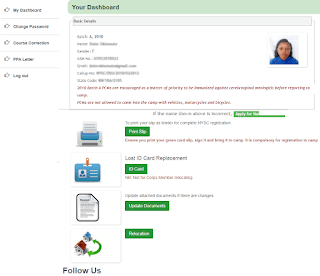 from the jamb profile setting, to see more of the service usage click on visit my usage. Payment Status. 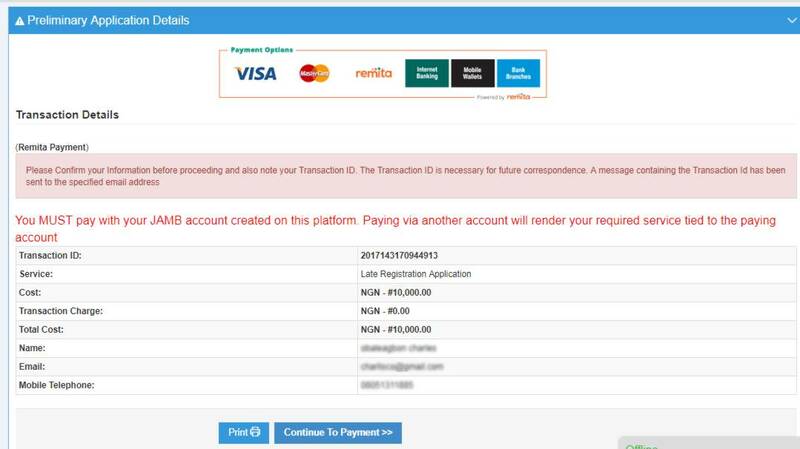 This give the status of any payment initialize, it range from payment pending, payment approved, pin used, payment reference number, and their date of transaction. from the jamb profile setting, to see more of the payment be made click on visit my payments. progress, to change or correct the name you used in creating your jamb profile do the following. 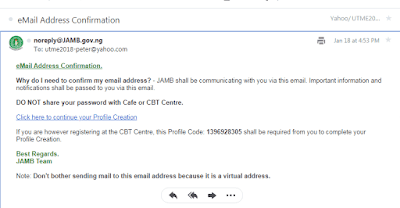 How to Change Jamb Profile Email Address. registration is ongoing, and it come with additional cost fee. Once registration has end, it can only be corrected at jamb office. 5. Login into your registered email address, click on the link to reset your password. different from the previous one. 6. Click on Change password. Have you lost your jamb profile code and epin for this current year, In this post I will mention the step you need to follow on how to recover your Lost JAMB Profile Code and Jamb epin, without visiting any Computer Base Test (CBT) Centre, Zonal or Head office. 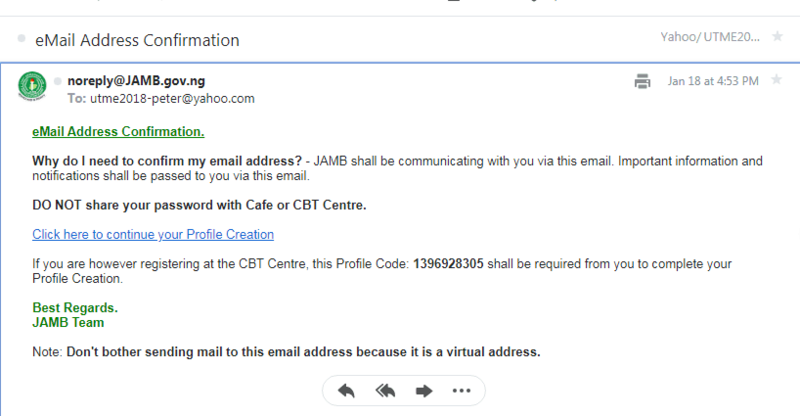 To recover your jamb profile code, what you need to do, is to type and send "RESEND" in SMS format to the jamb short code "55019" with the phone number you used during profile registration. 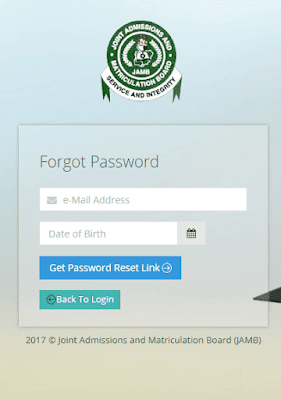 Here is a very simple guide on how to recover jamb E-pin if it is misplace or get lost. Type in your profile code. The Procedures on how to check Police Exam Centre details such as Venue, Date and Time for the Police Service Commission Examination will be discussed in details below. Dear applicants, We hope most of you have gotten your invitation letter to write CBT Exams but it's not about to write it alone but to pass it is the issue. Study English, Maths & Current Affairs (General Papers) very well, be accuracy but meticulous in picking your answer. 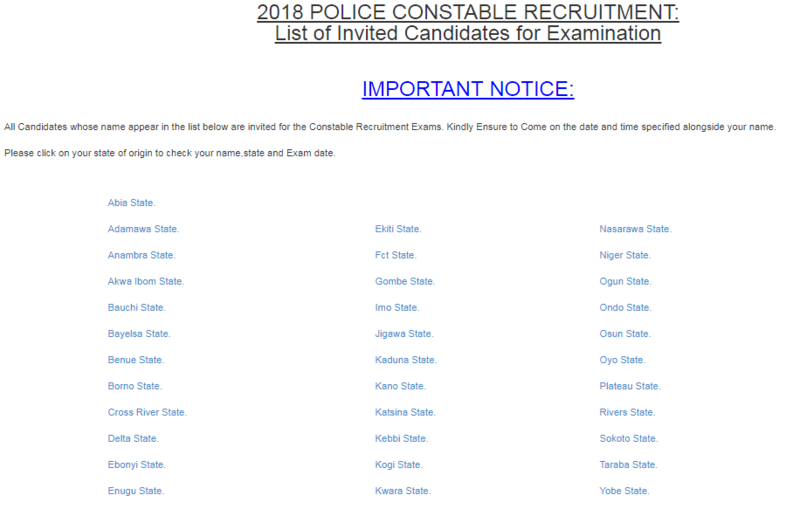 Many Candidates has been so worried to know if Police Service Commission Has started sending Exam date and Center for the Main examination which will be talking place Friday, May 25, 2018 from 07:00AM Nigeria Time. 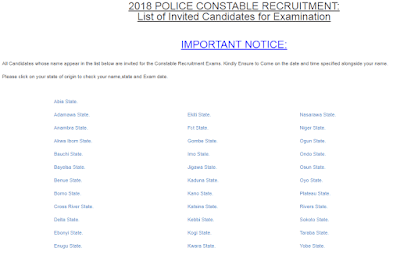 For the purpose of our brother and sister who apply for the recent police recruitement that were shortlisted for the exam, kindly follow the procedure listed below to check your name to know your exam centre and number and remaining information needed also make the print out while going for the exams please. • This is one of the best method to check Police Exam Centre, Date and Time you are writing. Applicant Registration Number, gsm number or email address . With this method, you don’t have to stay on hold for any email address from Police Service Commission to be able to know your Exam Information. - Print a copy of it and bring it to the centre. All Candidates whose name appear in the list are invited for the Constable Recruitment Exams. Kindly Ensure to Come on the date and time specified alongside your name. As an Option, Applicant are to login to the Email address that appear on their registration photocard after capture by jamb official. Look for an email message from JAMB or Police Service Commission containing Exam Date and Center. They are to Download and Print out the PDF File sent to them and Come with it on the day of their Examination. Applicant can visit Jamb Office in each State of Federation to check for their exam centre and date. (1) The examination centres have CCTV coverage. (2) You are allowed to come into the examination hall with pencil and rough work sheets. (3) All rough work sheets must be submitted at the end of the examination. 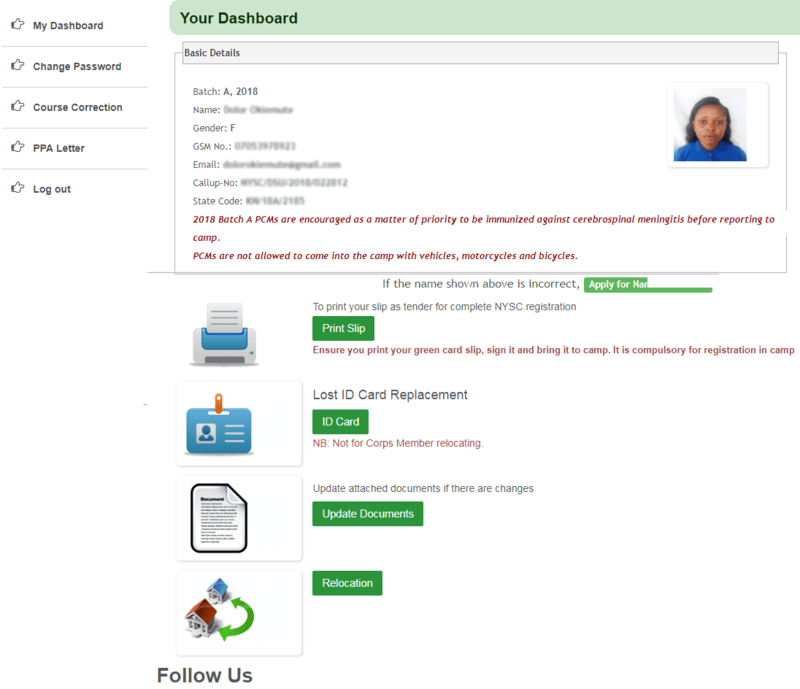 If you are a National Youth Services Corps NYSC Member and want to login, Check or Update your NYSC profile, and you don’t understand how to go about Updating the profile or login; or among the pubic that are asking lots of questions about nysc profile login steps, so they can access info on their dashboard in nysc portal. Then follow the procedure below, but before we go straightforward in the talk of the day, let answer the question what is nysc profile. 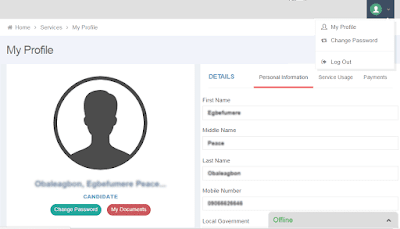 NYSC Profile is a user account on NYSC Registration portal, it contain data of a given prospective Corper who choose to enroll for the exercise. Prospective Corps Memeber who decline to create an Account on the NYSC Portal will not be able to complete his/her On-line Mobilization exercise and won’t be eligible to participate in the National Youth Service Corps Scheme for 1 One Calendar Year. Editing or Correction of Course. Checking and Printing of NYSC Green Card. Checking and Printing of NYSC CallUp Letter. Application for the Correction or Update of Names. Uploading/Updating of Prove of Marriage Document. 1. Firstly, on your mobile or desktop browser, visit the url https://portal.nysc.org.ng/nysc1/ResumePayment.aspx . 2. Enter Your Username which is your email address and Password. 3. Click on the “Resume” button to login and you will be redirected to your dashboard where you can see, access or update all the features available to your account.